Hey, friends! 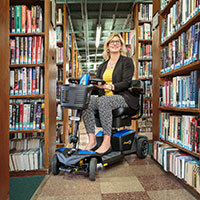 Spring is in full swing and it's hard to believe that Abilities Expo New York Metro is right around the corner! And, I've got some news to share about one the Expo's newest features: the Meet Up Zone! Wait, have we met? Allow me to introduce myself before I go on. 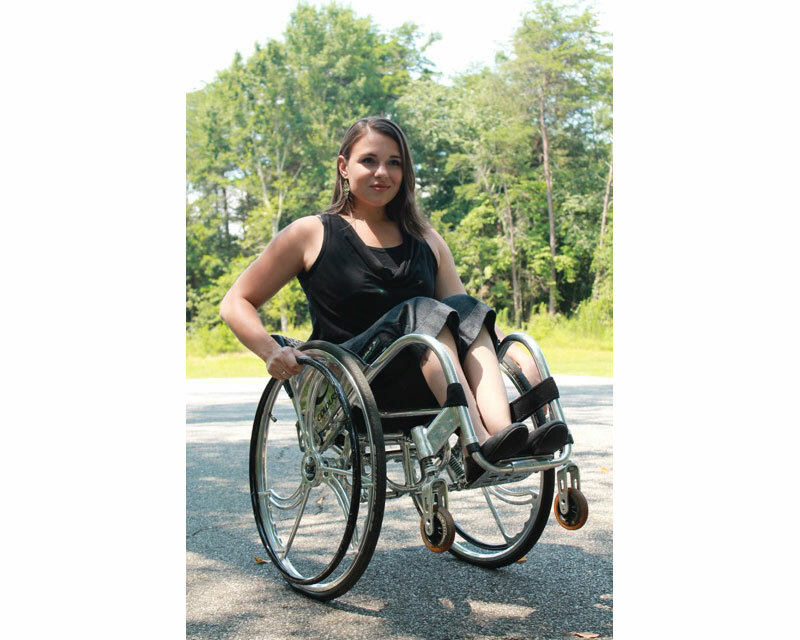 I'm a long-time wheelchair-user and for over a decade, I've been a spokesperson, model and advocate in the disability community, beginning in 2005 with my role as Ms. Wheelchair California. Since then, I've worked with a number of companies that manufacture everything from wheelchairs to accessible vehicles. I've spent a lot of time traveling—advocating for accessible taxis in many of our country's greatest cities and speaking to thousands of people on topics from overcoming challenges to leadership to disability etiquette. Recently, after a lot of soul searching and for a number of reasons, I realized I needed to slow down and take a look at priorities. In March, my family followed our hearts from Georgia to New Mexico to pursue our dream of starting a totally accessible wellness retreat in the beautiful desert. You can read more about our adventure at my blog. One of the best parts about my renewed freedom is the chance to focus my energy on what means most to me, which includes family, speaking and writing, photography, natural health and wellness, and supporting the communities that I come from. So, while I've attended Abilities Expos for years, I'm really excited to announce that this year, I'll be involved in an entirely new capacity. Starting with Los Angeles, I've joined the Abilities Expo team as the coordinator for the Meet Up Zone (MUZ)! If you aren't familiar with the MUZ, it's a new area at the expo in which attendees can come together in a comfortable space and socialize with workshop and event presenters, as well as local non-profits and public figures. It's great for kids and families, because the MUZ features face painting, photo booth, coloring and more! When I was offered the opportunity to be involved in this role, it was an easy "yes." I often say that my favorite part about attending Abilities Expo is meeting and interacting with the variety of people that come through, from attendees that have unique and colorful stories to college students that are training to be tomorrow's therapists, doctors, nurses and engineers. It's always motivating and uplifting to me, as a person with a disability, to be surrounded by this courageous and diverse community that we're a part of. I've got a lot of great ideas for the MUZ, so you can expect it to evolve as the year goes on. While it may vary a bit from city to city, attendees will be able to enjoy games, book-signings, peer counseling, autograph and photo sessions with disability community celebs, photo booth fun and other awesome activities. And if you're looking to get featured on the Abilities Expo Facebook (and other social media), the MUZ is where it's at! Also, I can't discuss my role in the Meet Up Zone without mentioning my very special sidekick. My five-year-old daughter Kamryn, who has been a spokesperson alongside me in this industry since she was 4-months-old, is also getting more involved. Wheelchairs and trade shows and accessibility and diversity are as much a part of her world as Barbies and crayons and cartoons. 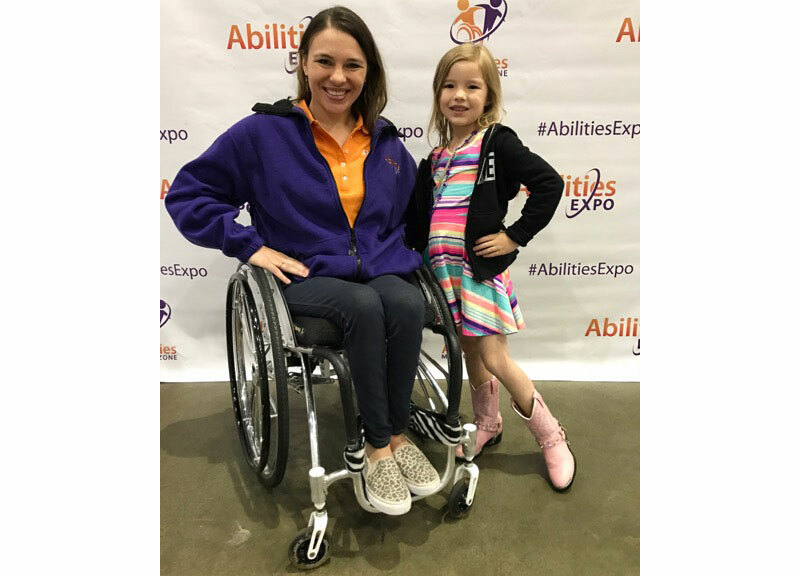 She's a passionate little civil rights advocate and is beyond proud to be named Abilities Expo's very first Coloring Ambassador—a title that she takes very seriously. She'll travel with me to several shows this year, so be sure to come say hi! That's all for now, folks! But, first, let me give a shout out to Cure Medical for supporting the Meet Up Zone by covering my travel expenses! They've got a brand new website and a new team of awesome advocates, and you can read my feature article. Happy travels and I'll catch you in the Zone! Kristina Rhoades is a motivational speaker, writer and life coach, as well as a wife and proud mom of a five-year-old daughter. After sustaining a spinal cord injury as a baby, Kristina has grown up in a wheelchair and at 21 years old, served her home state as Ms. Wheelchair California. She's a long time disability rights advocate and is passionate about human potential, meditation and helping others shift their perspectives to live their best and most rewarding lives. 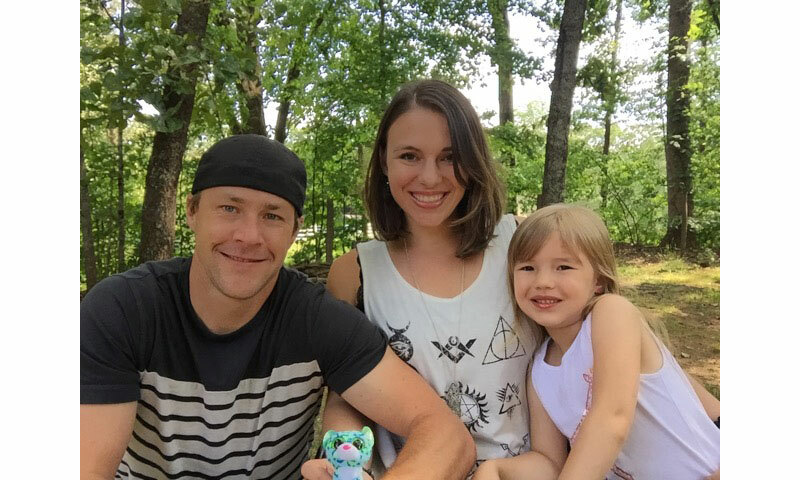 Kristina and her family recently relocated to New Mexico to open the first completely accessible wellness retreat.